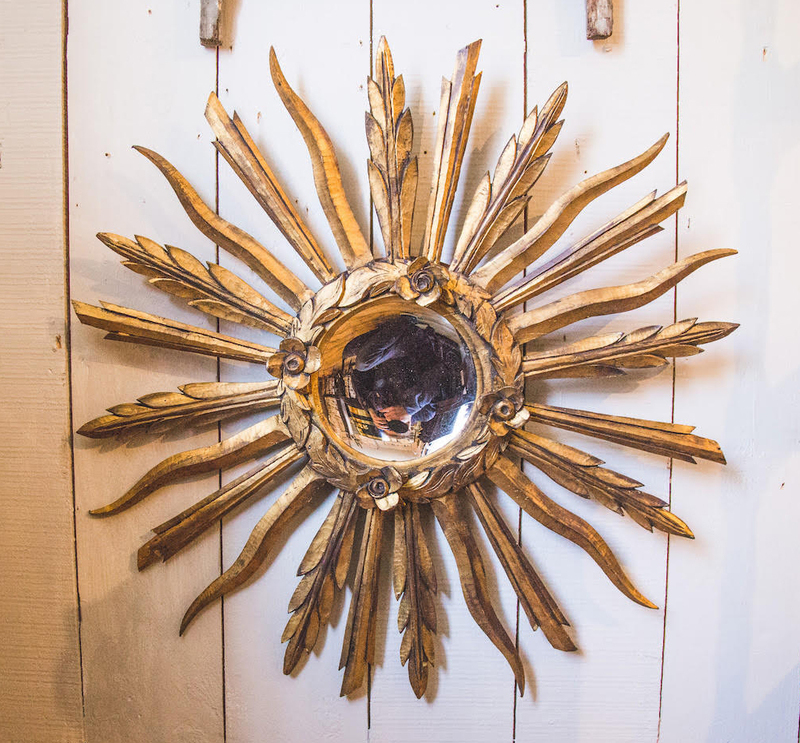 Large Mid Century French Sunburst Mirror | Maison & Co.
A very unique mid century French sunburst mirror with concave mirror glass. Circa 1920. The mirror is 7 7/8" diameter.